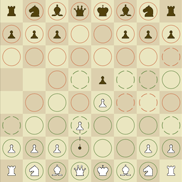 A working chess game with visualizations of relative power relationships. Designed to help novice to intermediate chess players see opportunities and risks when making moves. For my masters capstone project, my team is studying digital pathology for a major healthcare company. 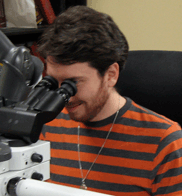 Pathologists currently diagnosis disease by looking at tissue under a microscope. This project is ongoing through the summer of 2008. A smart home agent that helps families to easily plan meals. By providing more control over meals, SmartCal helps families enjoy meal time as a family, eat healthier and avoid wasting money on food. For this service design project for the Pittsburgh public library system, we realized that the library provided many more services than people were aware of. We designed solutions to integrate the libraries offerings and improve the health of the library by promoting circulation of both media and people. A series of usability evaluation methods were performed on NativeAccent, an application for non-native English speakers to improve their intelligibility. Recommendations for improvement were also made. 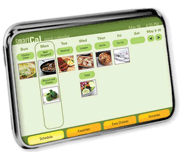 A concept wine inventory management system for restaurants. Grapevine provides a central place for restaurants to manage their inventory, order additional stock and explore new wines. A conceptual model of how people make decisions about energy use. This model was created for an engineering team that is designing power meters in order to promote more environmentally sustainable behavior. 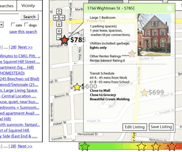 A series of usability evaluation methods were used to look at the apartment hunting process. In response, initial suggestions were made for an integrated apartment hunting system that combines features from a variety of different websites. A conceptual model of what people do with old stuff based on directed story telling with two participants. The model maps specific methods according to how difficult and how satisfying participants felt they were. Processes and changes over time are linked together by lines. © 2008 Josh Weihnacht, respective team members & clients.